CNSI was named the Government Contracting Company of the Year by the Maryland Tech Council, Maryland’s largest technology trade association. 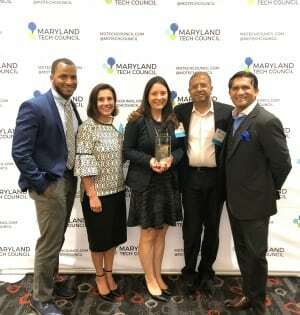 CNSI accepted the award at the May 17 MTC Industry Awards Celebration in College Park, Maryland. In 2017, CNSI made headlines for being the first company to work across state and federal lines to launch a CDC-backed cause of death mobile app to help states with disease surveillance, a critical tool during major outbreaks. The company also took on the opioid epidemic by developing a solution with the state of Michigan that uses predictive analytics and artificial intelligence to identify characteristics and patterns of Medicaid recipients who may be at risk for opioid abuse.